This summer is all about living my best life. Seems pretty obvious, but guys, I just am no longer going to waste my time with things that don’t matter. Family matters. Friendships matter. Faith matters. Food matters. Lot’s of important F’s here. I’m getting my face out of my phone. Offline. I am going to be getting outside more with my family and enjoying our time together. Last week we went on a trip to Macinack Island. There were no cars on the island. It was so liberating. Everything was slow paced and just perfect. I’ll be sharing some more from that trip soon (you can see some highlights on my IG stories if you can’t wait). But what I realized is these are moments and experiences with my family are the ones that I’ll cherish forever. Sounds cheesy, but it’s true. We are seizing the summer! Spending as much time by the pool, camping, and just hanging out together. I realize the irony of this as I am typing and sharing this ‘recipe’ on the internet, but that’s where our friendship is based. Yours and mine. Because you are important to me, too. 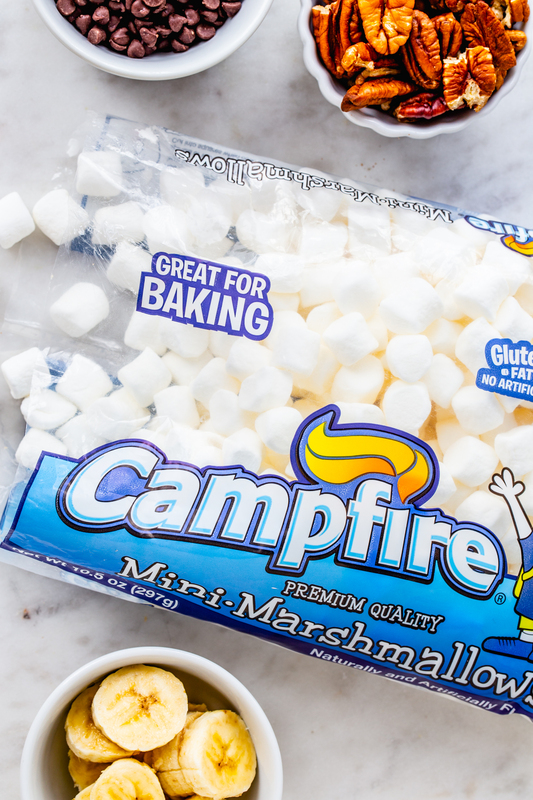 So, I’m popping in here today to share with you a simple, but awesome treat that you can make the next time you and your family head outside for a campfire. 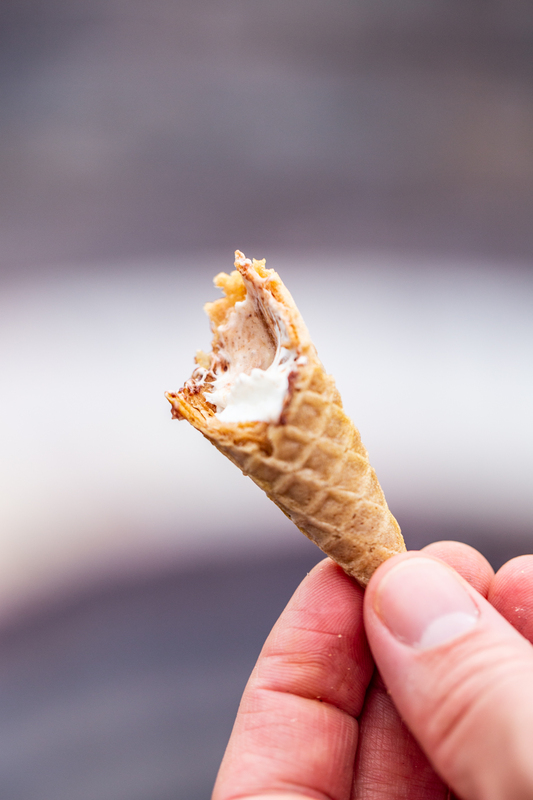 It’s like a slightly less messy version of s’mores in a fun cone shaped treat. Wrap them up in foil and write names on with a Sharpie if everyone made a different kind. Roast over the fire for about 1-2 minutes. Let cool, unwrap, and devour! if using a grate set over fire (see video) turn often and don’t leave over fire for too long. We learned the hard way! The kiddos loved these! Look at that melty marshmallow goodness!! 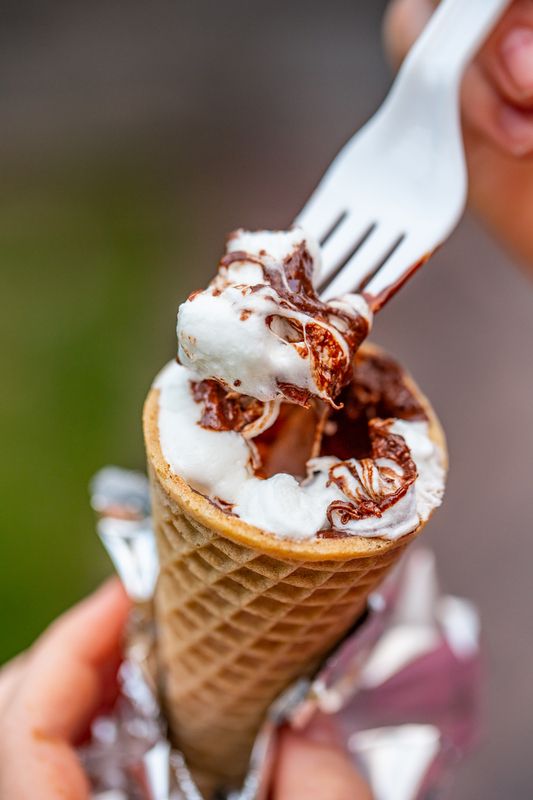 What are your favorite camping desserts to make with family and friends? 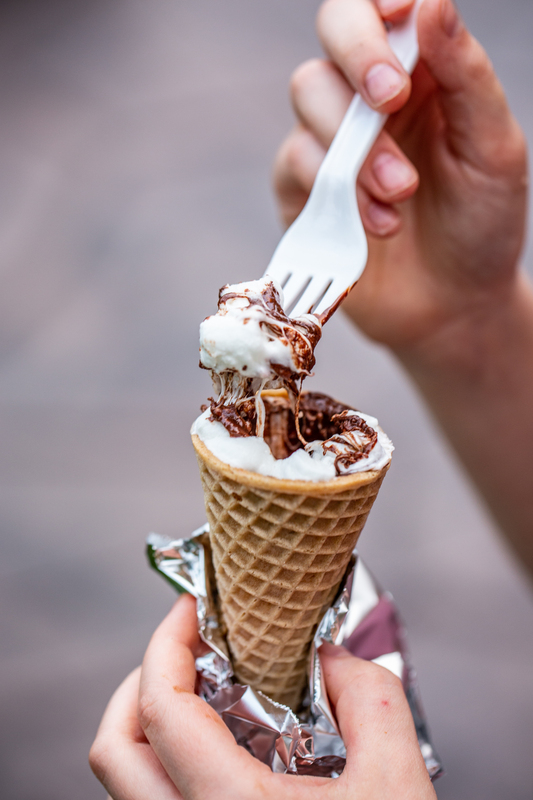 Be sure to add these S’mores Cones to your list! For me, eating these surrounded by my family is living my best life. 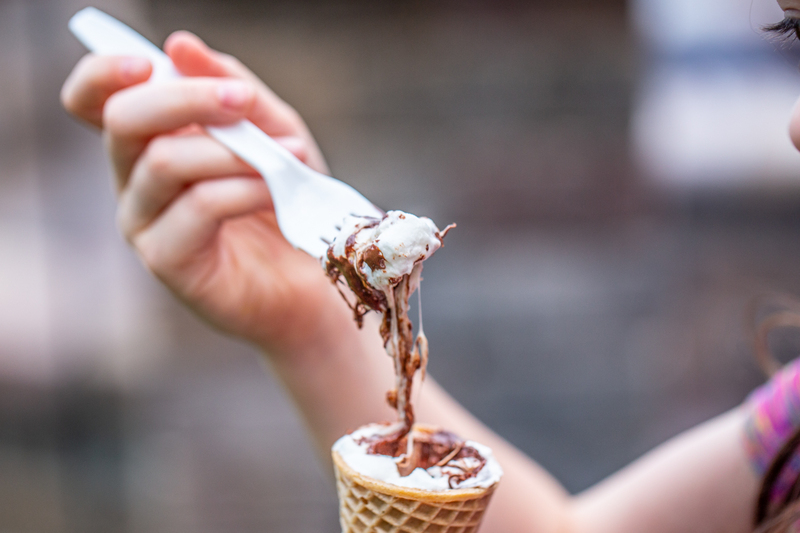 Fill ice cream cones with marshmallows, mini chocolate chips, and a few toppings if desired. Layer ingredients for best results! 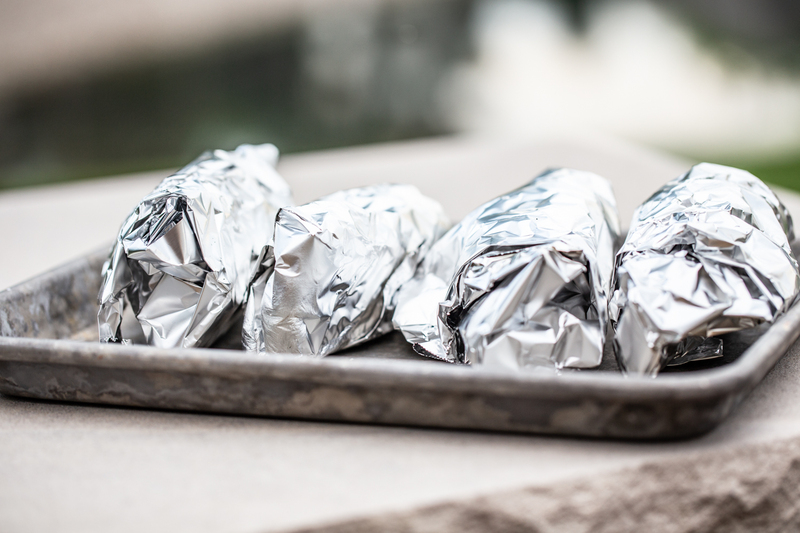 Wrap cones in foil. 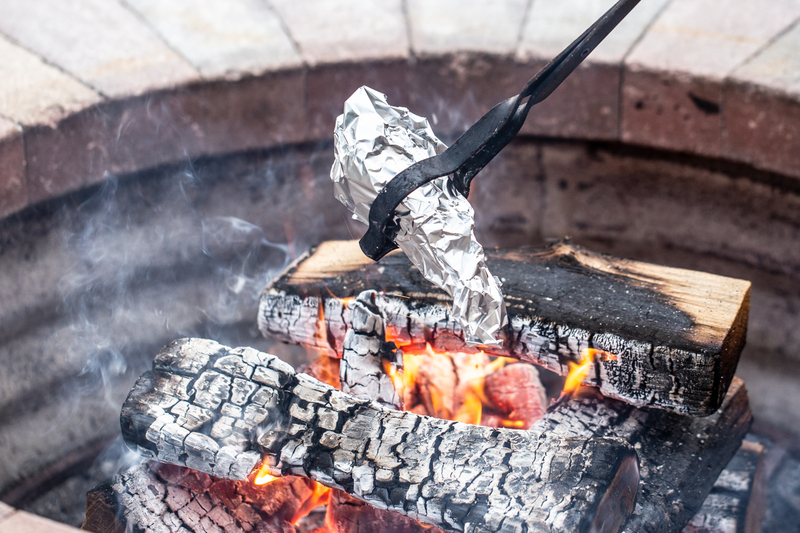 Roast over campfire (indirect heat works best to avoid burning) for about 1-2 minutes or until marshmallows are melted, but not burned. 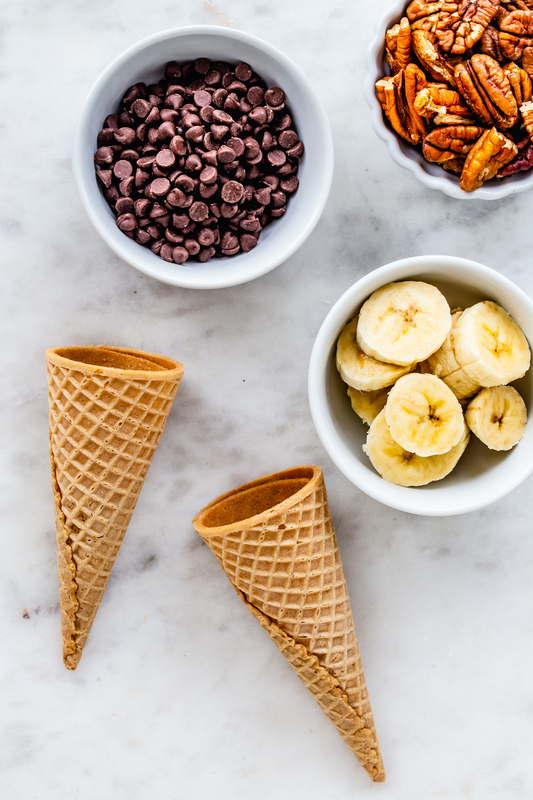 The cones I used in this post were quite small - use bigger cones for bigger appetites! Waffle cones would be incredible for these! 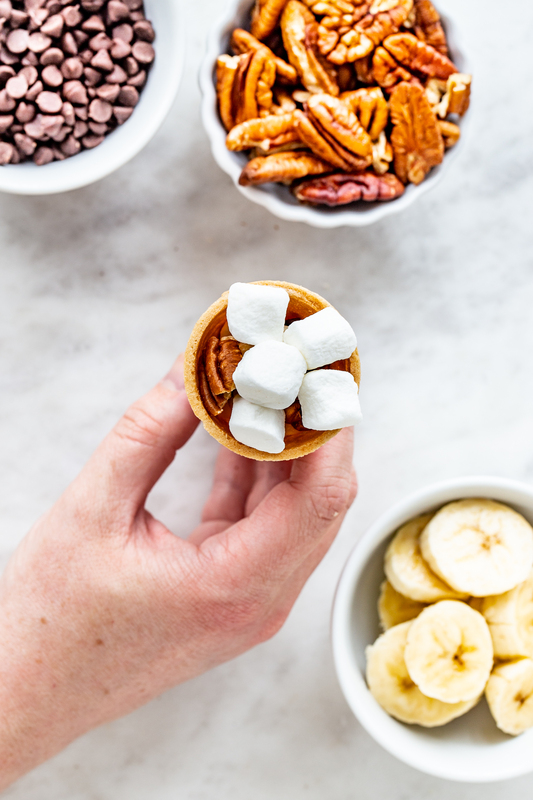 Play around with your toppings - I used banana, pecans, and chocolate but the possibilities are endless! A bed of hot coals without flames works well to roast these to perfection. We were not patient enough to wait for the bed of coals.